Inflatable Kayaks are lightweight, easy to store and transport. Using Sevylor Inflatable Kayak is a fun. You can have the pleasure of boating on the lake without losing too much of space of your garage. Sevylor Kayak is durable, and some of them can handle rapids well. So, you will be able to enjoy boating without risking about blowing up the middle of the water. However, the inflatable kayak has come with one little problem, and that is you have to inflate on a regular basis. Inflation of your Sevylor kayak is not a hard part but, you might need some getting used to if you are a newbie! 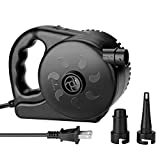 To inflate your Sevylor boats, rafts or kayak, you will need a pump. Sevylor rafts, boat, and kayak may have different valves. You have to use the right pump for the right valve. You may have to use extra attachments. See the manufacturer note to find out the valve types of your kayak. There are mostly three types of pump you can use for the Sevylor inflatable kayak. Almost all Sevylor kayaks come with a pump as an attachment so that you can fit the pump perfectly with the valves of your kayak. However, you can still use a better pump for smoother and faster inflation. So, before starting the inflation, let’s check which inflation pump suits you best. Foot pumps are smaller in size and portable enough to carry with your kayak. Air is pumped on downstroke through your foot. 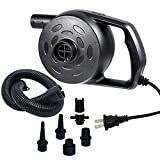 Some foot pumps have both inflate and deflate positions. If you have back problem then, this is ideal for you as you do have to bend to pump your kayak. Generally, foot pumps are good enough to inflate your kayak quickly. 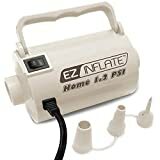 Most foot pumps are inexpensive and wear-out after heavy usage. For this reason, you have to be little careful while using your foot pump. The hose may require to tighten after a while when it is connected to the valve. Overall, foot pumps are not that much durable, but with careful usage, you can use it for years. Most inflatable kayaks come with a hand pump. There are generally two types of the hand pump. Double action hand pump uses both up and down stroke to push air inside the kayak. The pump is round and akin to a barrel regarding shape. It’s larger than a foot pump and quite more robust as well. On the handle, it has both inflate position and deflate position. Double action hand pumps are good for 4 PSI and lower pressure kayaks. However, with hard work, you can still use it for higher pressure one. It is faster than both single action hand pump and foot pump. Single action hand pump is quite similar to the double action hand pump in size and shape. However, it uses only down stroke to push air into the kayak. 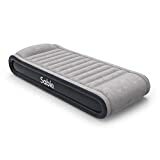 It is more comfortable to use and good enough for 10 PSI and higher pressure inflatable kayaks. However, a hand pump is not suitable for those who have back problems as you need bend every time you push the pump. Electric pumps are quite right to inflate your kayak swiftly and without any effort. However, they are a bit pricey, and you can’t carry it everywhere. 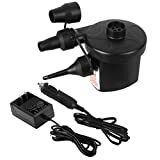 Most electric pumps can be with a 12 Volts battery. If you don’t use a battery, you can hook up with a 12 Volts power supply. 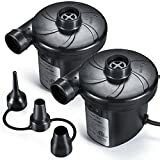 Most electric pumps provide the option to choose how much amount of air pressure you want to push in. This is helpful to inflate your kayak correctly, and not less or overinflated. Valves are pathways of air to the kayak. They are the connection between pump hose and the kayak. There are different types of valves used in inflatable kayaks. Mostly, Boston Valves, Military valves, Twist-Lock Valves, Jumbo Double Lock Valves and Pinch Valves are used in inflatables. However, for Sevylor kayak primarily used valve is the Boston valve. To confirm the valve types, see the manufacturer guide that comes with your kayak. The best time to inflate your kayak is before hitting the water. However, of can carry your fully inflated kayak without any problem; then, you can inflate it at home. You can also inflate it once and leave it for several usages. However, do not keep fully inflated kayak under sunlight and check the air pressure every time before you hit the water. Before starting to inflate your kayak, carefully attach the hose of your pump the valve of your kayak. Most hand pumps and foot pumps come with the right type of attachment for different valves types. Make sure they properly connected and then you can start pumping in. Generally, inflatable kaya has three air chambers. You have to fill them all. However, at first fill the floor air chamber, then another side. If you have a skeg to attach then attach it before starting inflation. You cannot use automotive and bike tire pump, because they do not provide the right connector. Never use a regular compressor and electric pump as they can overkill your kayak and eventually pop one or more chambers. Pumping your Sevylor kayak is not so hard, and it will not take too much time either. 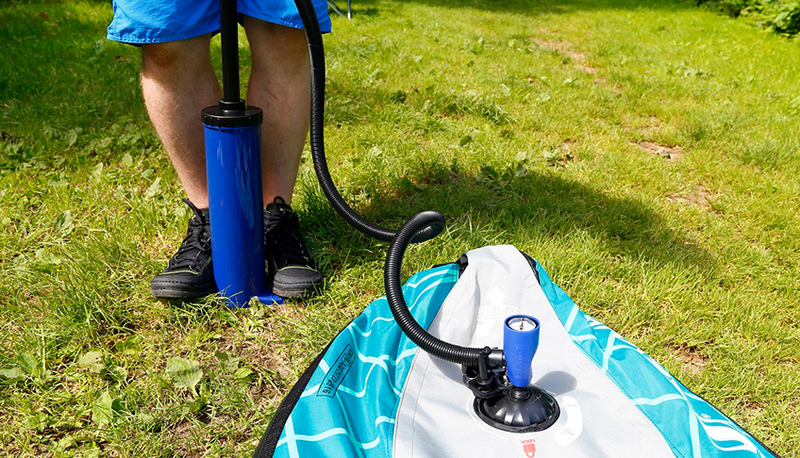 With the hand pump and foot pump, you will be able to fully inflate your Sevylor inflatable kayak within 5 to 10 minutes. The time depends on the size of your kayak. However, with an electric pump, you will be able to inflate it within two minutes. Whatever type of pump you use, make sure you have enough air pressure before starting your kayaking adventure. We believe now you have understood everything regarding inflating your Sevylor kayak. Also, for any query and information, you can write back to us. Happy Kayaking!